Set in the 1970s, this ensemble comedy follows a traditional Irish-Catholic family, The Clearys, as they navigate changes big and small during one of America's most turbulent decades. In a working-class neighborhood outside Los Angeles, Mike (strong, silent dad played by Michael Cudlitz) and Peggy (overbearing mom played by Mary McCormack) raise eight boisterous boys who live out their days with little supervision. The household is turned upside down when oldest son, Lawrence, returns home and announces he's quitting the seminary to go off and "save the world." Times are changing and this family will never be the same. Ten people, three bedrooms, one bathroom, and everyone in it for themselves. 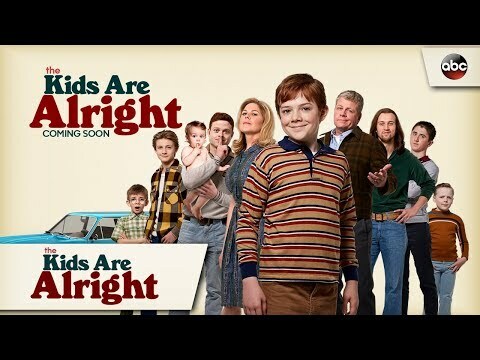 The Kids Are Alright Season 1 was released on ABC 186d ago in the US. Notify me when The Kids Are Alright Season 1 is available.